Fuel Express is not affiliated with, nor offers sales or customer service for Wawa fuel credit cards. We are a fleet fuel card provider that is accepted at virtually every gas station in the U.S. including every Wawa gas station location. This page is intended for current or prospective Fuel Express customers to review all of our fleet fuel and gas card acceptance locations. To learn more about our fleet fueling services, please contact us or apply for a fuel card from Fuel Express today. 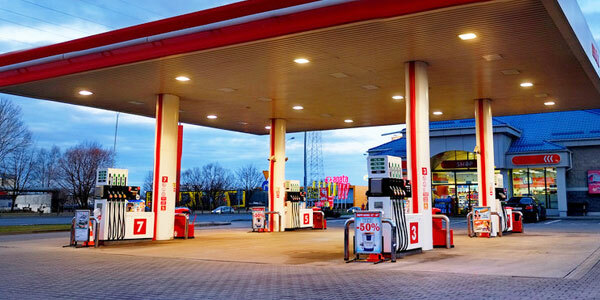 Wawa is one of the most popular gas stations in Pennsylvania, New Jersey, Delaware, Maryland, Virginia, and Florida, so why not make it easier for your fleet drivers to fill up? Our Fuel Express fuel card can be used at any Wawa and can save your drivers time during their deliveries. With our fuel card, your drivers can stop at virtually any gas location nationwide (including all Wawa’s), swipe their card, fill up, and be on their way quickly. One of the best things about our fuel card is the fact that you and your drivers won’t have to worry about collecting and sorting through dozens of paper receipts. Instead, you’ll have access to every transaction made on the card via an online account. This account will list the date, time, and location of each card purchase, making it easy to keep track of where your drivers have been and the money they’ve spent. To make budgeting even simpler, we’ve added tools like purchase restrictions and spending limits that can help your drivers stay on target and avoid overspending. In addition to a great gas card, we offer GPS tracking solutions that can help improve the efficiency of your deliveries. Your drivers will be able to map out fastest routes for their deliveries and will have access to a number of routes that they can take in the event of an accident or heavy traffic. With GPS tracking, you’ll know where your drivers are at all times and the routes that they’re taking, which means you can plan for faster delivery times and more satisfied customers.